Believing that we are here to serve our students in the most excellent way, twelve years ago we began to look for a way to meet the needs of our middle school students so they could learn in the BEST environment. When we researched gender-basing our 6th grade, we studied the work of the Gurian Institute who led the way in helping us see how to teach our students in the best way possible. Now twelve years later as I have reviewed their current research, I believe it is still the best way to reach our 6th and 7th-grade students. Recent brain-based research indicates that boys and girls learn differently. We can reach them in a different way if we separate them. We can create a safe learning environment if we separate them. 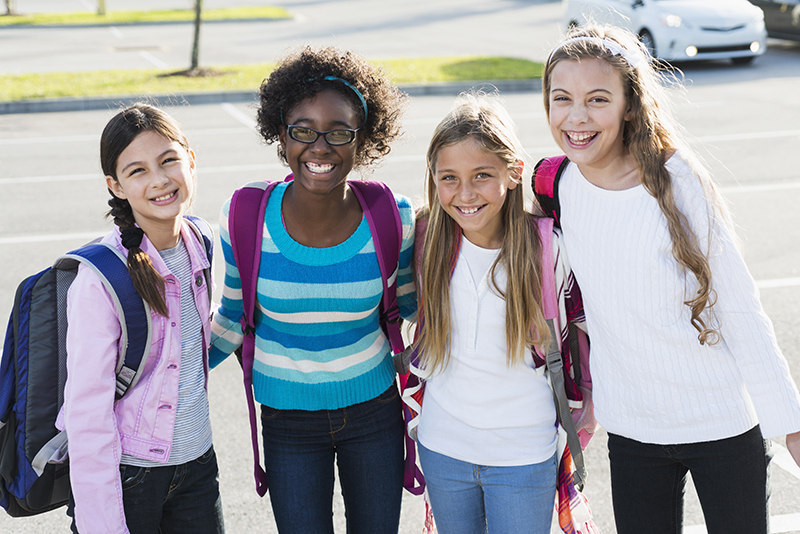 Pre-adolescent and adolescent students face unique challenges, such as developmental and structural differences, chemical and functional differences, and the onset of puberty. Some of these challenges can be alleviated or lessened in a gender-separated class. Some recent national trends show that some boys are lagging behind while girls excel in certain areas and vice versa. Because we want to keep a culture of improvement at SBA with God’s help, we are embracing Best Practices in education and are working to create the best learning environment we can for students. Their developmental needs are different. Many of them are in one or more high school credit courses, which has them interacting with students of other age levels. They need time to transition and develop necessary social skills for the next level. Most of them have entered the journey of adolescence successfully, have developed confidence, and are ready to soar to the next level. What are some differences in most boys? They need to squirm. The brain research form the Gurian Institute tells us that they have a shorter attention span and need to shift their focus and activity every 12-15 minutes. Boys require fewer words to follow directions. Directions need to be clear and succinct. Boys do better with assignments with clear time limits, specific directions, and a structured format. When there are clear expectations and a structured time format, boys do not act out as much. Discipline problems decline, as we have seen at SBA. Boys are motivated by competition and time limits. Girls are not. Boys compete with each other for the teacher’s attention. Boys interrupt class to gain credibility in the eyes of their peers. How do SBA teachers meet the needs of our boys? Encourage them to move. Take them outside as much as possible. Encourage them to drink water; they need it. Give opportunities for boys to work in pairs or in groups. Give simple instructions (2-3 at a time) and a deadline. Use signals and a clear voice to gain attention. Each teacher develops his/her own system. Sixth grade teachers model using organizational tools and help students set up a divided, organized notebook. Encourage activities that build or create a product. Move to more project-based learning activities. Teachers collaborate with their peers in single-gender classes to discuss strategies, teaching methods, and activities. Attend training on single-gender classrooms or brain-based educational strategies. What does the class structure of a boys’ class look like? Introduce the essential question to add focus to the lesson. Go over the agenda for the day. Give most of the content during this time. Use specifics in text to think about. Follow step-by-step instructions given by the teacher. Present analysis to the class. Challenge answers for more analysis. What are some class activities for boys? What are some differences in many girls? Girls are usually well prepared. The girls see the lesson as a shared venture. The girls usually listen and show respect when others speak. The girls are typically helpful to each other. The use of a signal rather than a strong voice to get attention. Increased use of color in presentation materials. Illustrating how to organize a notebook and dividing up the material so they can maintain it. Selecting literature and/or activities that allow girls to make connections. Inviting speakers that present on information that is relevant to the literature they are studying. How do SBA teachers meet the needs of our girls? Encourage them to be risk takers and speak in class. Use of positive group support during math times and of participation in class discussions in every subject. Give detailed instructions and allow enough time for students to complete the work. Encourage them to take leadership roles. Provide a loving environment for them when they feel insecure in a particular discipline. By understanding that girls work in a concentrated, quicker way. Teachers collaborate with their peers to discuss strategies, teaching methods, and activities. By attending workshops and training on gender-based and brain-based education. What does the class structure of a girls’ class look like? What are some class activities for girls? When do students interact with each other and develop social skills? At SBA we try to research what is best for students, listen to what they say, and put into place BEST PRACTICES for them. Partnering with them and with our parents is one of our Core Values and is critical for success in the classroom and in their lives. It is our goal to equip them to achieve to their highest abilities and to honor Christ in their lives, both inside and outside of the classroom, as they impact our culture for Christ. Gurian, M. (2001, 2010) Boys and Girls Learn Differently: A Guide for Teachers and Parents. Gurian, M. (2006) The Wonder of Boys. pp.22-30.